The UMC ammo brand dates back to the 1800s with the Union Metallic Cartridge Company. They merged with Remington in 1912 to become what was then called Remington UMC. 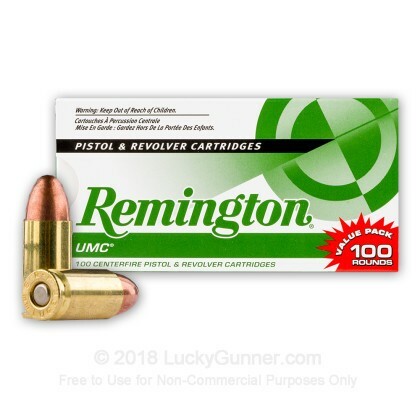 Eventually, the UMC part was dropped from the company name, but Remington started using their initials to refer to their value line of target and range ammo, which is now one of the most popular in the country. UMC handgun ammo comes packaged in a variety of convenient sizes. There's the standard 50 round boxes and also the 250 round mega packs. 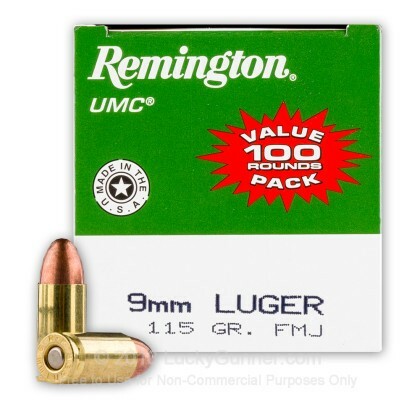 Today, we're looking at UMC .9 millimeter in another size, the 100 round pack. It contains two 50 round trays and re-loadable brass case cartridges with a non-corrosive primer. Seated in each case is a 115 grain lead core bullet with a copper jacket. Remington calls this a metal case, but it's the same as a traditional full metal jacket. We fired through the 100 round boxes with six different guns, one carbine and five pistols. We didn't have a single malfunction, and each gun fed and ejected the UMC cartridges with no problems. 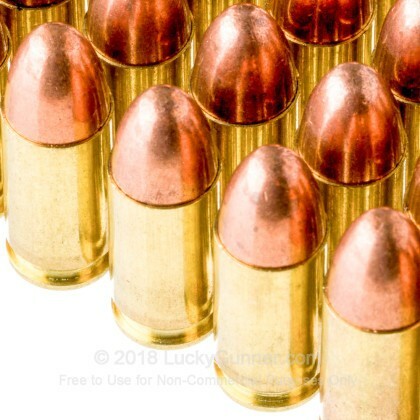 Like most UMC ammo, the recoil is moderate - typical for a .9 millimeter practice load. After testing the ammo for function, we set up the sandbags and tried out the UMC load from the bench at 20 yards. The Beretta Storm Carbine was able to put the rounds right on top of each other in a single hole, just barely low and left of the point of aim. 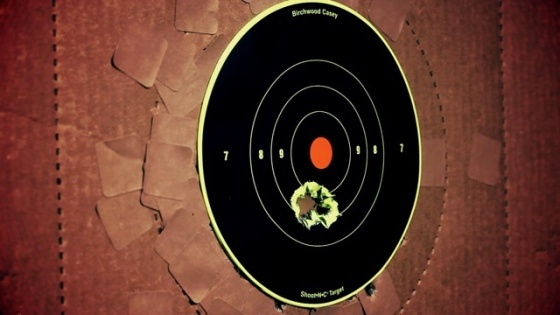 This group is a little tighter than what we've seen with UMC in the past, and you might be hard pressed to get this kind of accuracy out of the average production handgun at this distance. That said, the carbine shows the kind of precision the UMC load is capable of on a good day if the shooter and gun are up to it. Remington's UMC line is always a dependable choice for any range application. With re-loadable brass cases and excellent accuracy, you can't really ask for much more in a range load. 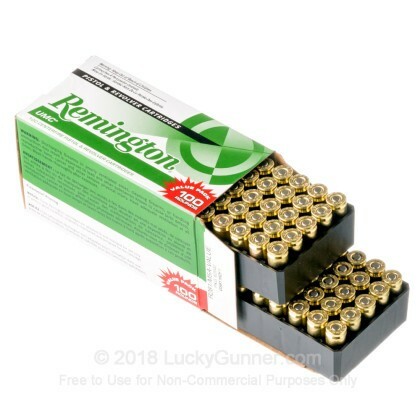 Quality ammo, as usual, from Remington. 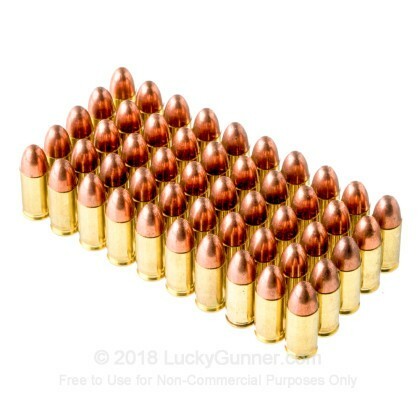 I had no failures with this ammo and I highly recommend it. No misfires. No Jams. Shot well with Glock 19. Fast service from Lucky Gunner. Will order more. Excellent product and results. I had no misfires, nor jams, while firing 50 rounds. As always, very consistent good service from Lucky Gunner. The Remington UMC works great in Kahr's and Glocks. 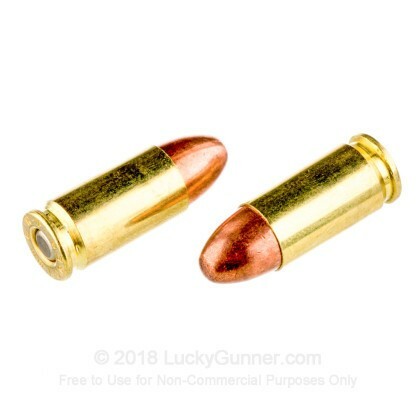 I had a good experience with the ammo and the LuckyGunner.com online shopping experience. Good value.